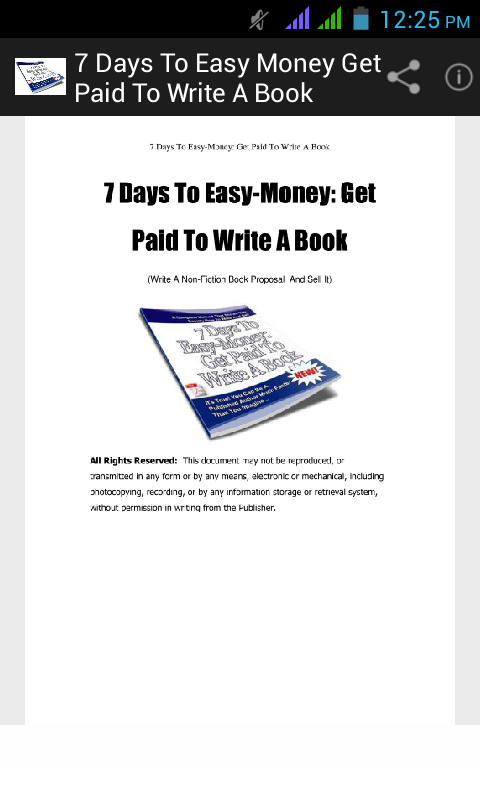 7 days to easy-money get paid to write a book is a free app that brings you lots of great information about how to start writing a book and get paid for it in 7 days. You can even get help on how to write a proposal. So, if you have passion for writing? Or simply need ideas in publishing your book. It's would be great to download this app. You are never too late to learn something new and creative and this app is simply amazing to let you learn on how to make a living with writing and publishing a book. By simply having this app in your phone, you can access it anytime and from anywhere to resolve your book writing issues so that you write like a professional. This will not only make you a pro writer but also help you earn thousands for writing a book and publishing it both offline as well as online. According to the experts, writing a proposal is generally considered to be the smartest way to write a book but knowing how to write a porposal is also considered to be a skill. It is so much easier to write a book when you have such a handy tool in your smartphones always. Download it now from Google PlayStore and AmazonAppStore. 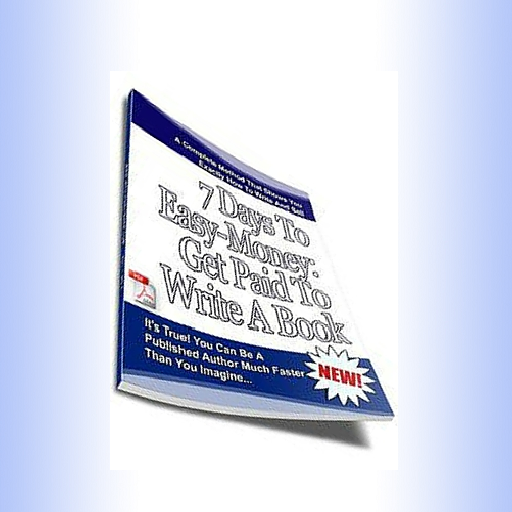 Sell your book the easy way --- sell a proposal You can get paid to write a book. It's easily possible to make a fast $10,000, or even a six figure amount. 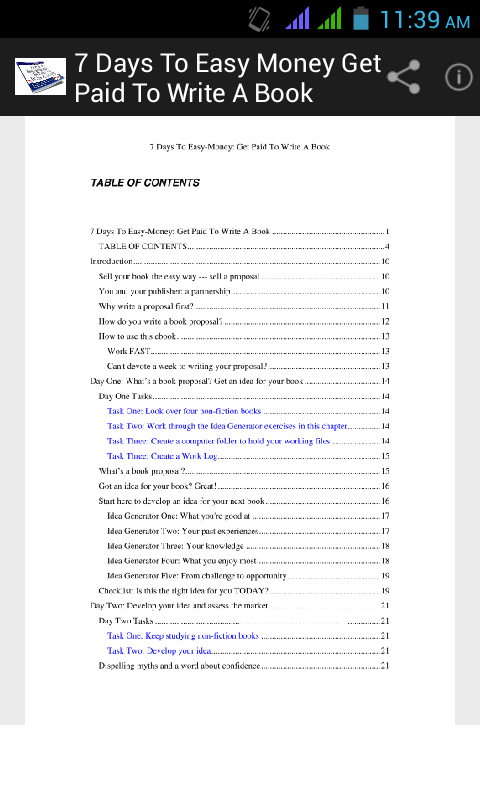 You could even make seven figures --- over a million dollars for twenty pages of text. 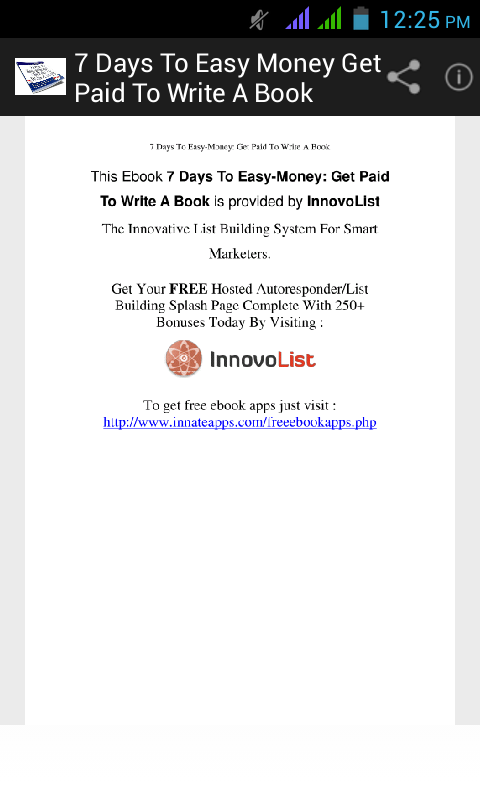 It sounds incredible, but a fast seven figures is certainly possible if you have a HOT, hot idea or have had an experience that hundreds of thousands of people want to read about. In his 2001 book about writing non-fiction, Damn! Why Didn't I Write That?, author Marc McCutcheon says that it's not hard to make a good income: "you can learn the trade and begin making a respectable income much faster than most people think possible". The good part is that you don't need to write your book before you get some money. You write a proposal, and a publisher will give you an advance, which you can live on while you write the book. Writing a proposal is the smart way to write a book. It's the way professional writers sell non-fiction. Selling a book on a proposal is much easier than selling a book that you've already written. A book proposal is a complete description of your book. It contains the title, an explanation of what the book's about, an outline of chapters, a market and competition survey, and a sample chapter. A book proposal functions in the same way as any business proposal does: you're making an offer to someone you hope to do business with. It will be treated by publishers in the same way that any business treats a proposal. A publisher will read your proposal, assess its feasibility, cost it, and if it looks as if the publisher will make money, the publisher will pay you to write the book. When you've sold your proposed book to a publisher, your role doesn’t end with writing your book. You’re in partnership with your publisher to ensure the book's success. If you do your part, both you and your publisher will make money.